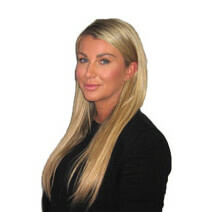 Nicola Dickinson is an Associate Director and Head of the Personal Injury Fast Track Department. Nicola has 10 years’ experience in the personal injury claims sector and is responsible for improving the efficiencies of case handling to ensure we provide a premium service to our clients. Outside of work Nicola is a regular visitor to the gym and enjoys socialising.